Unfolding in a series of mythic vignettes, this late work by Akira Kurosawa (Seven Samurai, Ran) brings eight of the beloved director s own nighttime visions, informed by tales from Japanese folklore, to cinematic life. In a visually sumptuous journey through the master s unconscious, tales of childlike wonder give way to apocalyptic visions: a young boy stumbles on a fox wedding in a forest; a soldier confronts the ghosts of the war dead; a power-plant meltdown smothers a seaside landscape in radioactive fumes. 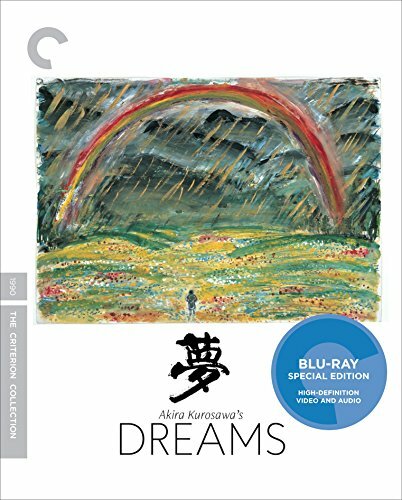 Interspersed with reflections on the redemptive power of art, including a richly textured tribute to Vincent van Gogh (played by Martin Scorsese), Akira Kurosawa s Dreams is both a showcase for its maker s imagination at its most unbridled and a deeply personal lament for a world at the mercy of human ignorance.